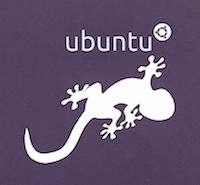 The release of Ubuntu 13.10 “Saucy Salamander” didn't cause a lot of excitement among Ubuntuers. It was, nonetheless, a very important iteration to one of world's most popular operating systems. Not only did Saucy bring a lot of bugfixes to the Linux desktop, it also set a right foundation for building a solid convergent OS. Overall, this release brings the best of what Linux has to offer in a very solid and stable package. If you've just installed the update, you might be wondering what to do to get started. If so, don't worry, the following guide will help you get the most out of Ubuntu 13.10 “Saucy Salamander”. Probably the most noteworthy feature in Ubuntu 13.10 is the addition of Smart Scopes. So, what are smart scopes really? Smart Scopes allow you to search for anything you want right from your desktop by intelligently gathering data from your computer as well as the web. This means that when you search for let's say Paris, the Dash will now query a variety of sources from the Internet and then will give you an intelligent response. So, typing Paris in your Dash will give you Wikipedia entries for Paris, and also the weather. Similarly, if you are looking for a song that's on your computer, you can enter the artist's name and the albums list by that artist will show up in the Dash. By clicking a link, you can start playing the song. However, if you wanted to know more about a particular artist, you can scroll down the Dash to see the artist's Wikipedia entry. For example, typing Katy Perry gives you the song list as well as her Wikipedia information. You can further tweak this feature by enabling or disabling specific sources. Let's say you are not that interested in learning about the weather, you can simply disable the weather results by turning off the Weather Channel filter. The best way to make the most out of this feature is to try it out a few times till you get a hang of it. If you are a Reddit user, though, you are in for a treat as the Dash can now let you search the site across all subreddits. Go to Dash and search for 'Software & Updates' without quotes. Then, in the Software and Updates window, click on the tab that says Additional Drivers. The software will search the right drivers for your device thus allowing you to make the most out of your desktop. Install the Steam application from the Ubuntu Software Center and start playing some of the best games out there. Gone are the days when you had to reboot into Windows to play your favorite games. Let's face it. VLC is the most versatile media player out there. Throw anything at it and it will play that stuff without any glitches. Whether you want to play the latest HD movie or listen to your favorite song recorded in some cryptic format, VLC is your go-to media app. Tweak Unity to the max by installing either Ubuntu Tweak or Unity Tweak tool. Both applications give you the ability to make Ubuntu behave your way. Be it getting rid of minor quirks or trying on the latest themes like Faenza, tweaking tools are best suited not just for power users but for new users as well. Though one might tend to get lost in the awesomeness of Linux, it is important to stay in touch with our loved ones and friends. That's why no installation is complete without a set of cool communication apps such as Skype and Viber.